Aaron’s Painting and Remodeling is a privately owned and local company that specializes in all areas of home improvement. We are proud of all of the referrals that have been provided from our previous customers. Our emphasis is on quality, customer service, and completing each job right the first time, in a timely manner. We work with home owners, realtors, contractors and interior designers. We have experience in all areas of home remodeling and can accommodate any requirements that may be needed for a home inspection report. 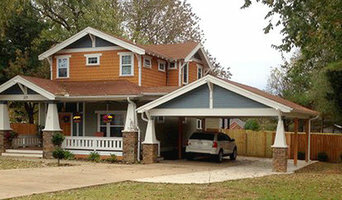 Aaron’s Painting and Remodeling specializes in but is not limited to the following categories’: •Painting of all kinds: interior/exterior, Faux, brush, roll or spray •Wood rot replace/repair •Kitchen remodel •Bathroom remodel •Residential or commercial •Replace or Repair: walls, lights, ceiling, stairs and many other areas. We would ask that you recommend Aaron’s Painting and Remodeling to anyone in need of our services, as we are a referral based company. We started the company in 2007 with an emphasis on quality work, which is why I am still in business and growing. Our prices are based on what it takes to get the job done right. Partner with Wagner Contracting to be your general contractor for all of your commercial, residential new construction, or remodeling needs. We pay strict attention to each detail, and we’ll make sure that our work and craftsmanship meet or exceed all of your expectations. Wagner Contracting is family-owned, and we serve customers in Lawrence, KS and the surrounding areas. We want the opportunity to be the general contractor you use for your next project. We’re fully licensed and insured, and we always make ourselves available. Freement is a blue-collar built concrete contractor, that also performs preconstruction management, and general contracting. Freement believes in safety, communication, and promptness. 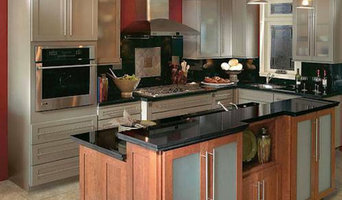 We specialize in Home Remodeling, Home Additions as well as other Home Improvements and Handyman Services. CC was founded in 2006. Our focus - now and always - is to support our clients with exceptional work and cost consciousness in pursuit of a successful project. We have a reputation for being open and honest in our project management. To that end, we've assembled a team of people who are truly passionate about their work and provide them with the best tools and the latest education. Gercken Construction Services, Inc., can help you convert your present home into your “dream home.” We specialize in new construction, remodeling, room additions, and home improvements. We can handle every phase of your project! Whole Home Renovations $25,000 - $750,000. Kitchens $10,000 to $75,000. Finished Basements $25,000 to $250,000. Room Additions $15,000 to $275,000. Decks $5,000- 125,000. Outdoor Kitchens: $5,000 - $200,000. Outdoor Cooking Stations, Bars & Kitchens; $25,000 to $275,000. Bathrooms: $5,000.00 to $75,000. Outdoor Fireplaces / Patio's $2,500 to $150,000. Estimates based on experience. Actual costs may vary depending on the scope of your project. Although there are other fine companies out there, I can assure you that none are more capable, experienced, or dedicated to serving you, our valued customer. Every project will be done exactly to your specifications with minimal disturbance or inconvenience to you and your family. We put the emphasis on providing our clients with unbeatable quality at highly competitive prices. We are a specialist company with over 33 years of experience in providing a high quality service and outstanding quality. We encourage you to learn more about the services Gercken Construction could offer by browsing our website and taking a look through some of our portfolio. 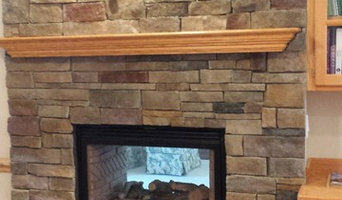 “Superior customer service is my goal, and I personally supervise every project. I am committed to being available any time you need me.” Owner, Richard Gercken Call today for a consultation about your project. Bathrooms, kitchens, basements, and driveways - Epam Service's can build it, fix it, or update any home. 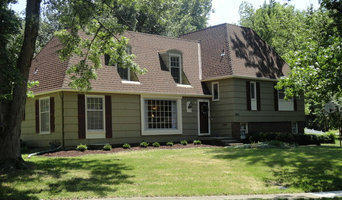 Feel free to view some of the recently completed projects across Jackson County and the surrounding areas. At Heiman Development Company, Inc., we value our customers and craftsmanship, above all else, and that’s why we approach each and every project with the goal of making you a customer for life. Our trusted contractor and honest team work hard to make sure that you aren’t just satisfied with the job we’ve done for you, but that you’re excited to return to your home or office every single day. You have to spend time in this space, so we believe you should enjoy it. AAA Fast Construction is a locally owned, family-oriented masonry construction business that serves the Kansas City, MO area and the surrounding regions. We bring style, strength, and curb appeal to your home or business. 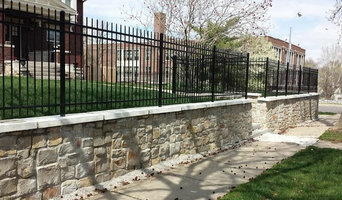 We have decades of collective masonry experience in stonework, brickwork, and concrete. We specialize in retaining walls, seawalls, brick, veneer, fireplaces, water features, and hardscapes.